Photographer offering high quality images to the general public and commercial clients. Bespoke image requests and larger projects welcomed. Music interests: U2, The Stone Roses and Noel Gallagher. Check out our facebook page for our monthly playlists! 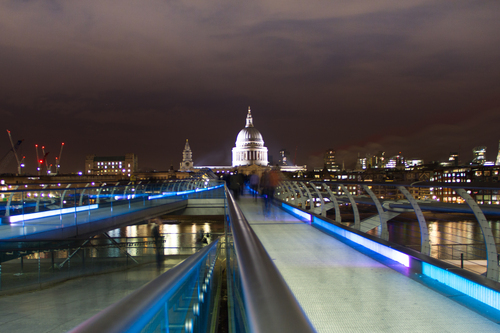 View of St. Paul's Cathedral from the Millennium Bridge at night.